People desire to bring nature’s elements in their house just to make them feel like they are closer to earth. All those green fields and colossal mountains create a picturesque view in our mind and we don’t want to let it slip off from our sight. So people tend to construct artificial nature in their house with the help of sandstone tile and small pebbles. This mini nature inside their abode pumps in positive energy inside them and gives them a reason to be happy forever. Whenever you step in your palace barefoot you want to experience the earthy nature of the floor beneath your feet. The floor that takes care of your soft feet and attenuates your pain. 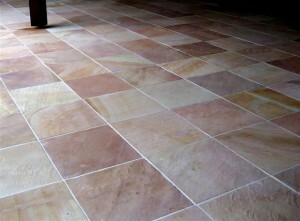 The mere walk on these floors covered with natural sandstone tile relieves you from the overwhelming burden and helps you to attain peace within your body. This balance between your body and balmy floor gives you eternal sanity and leaves no room for undesired agitation. These colorful tiles comes in varying shape and size which proves to be a perfect option for you flooring. They assist in providing that roman look to your interiors and makes you feel like you have been made a king of some roman empire. 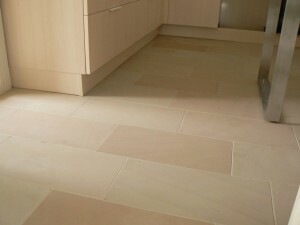 There are many types of sandstone tile that can be used for flooring, roofing, pavements, wall boundaries of your house. Tiles which are made from granite, mica, sand, marble are generally employed in constructing different portions of your living place. You can even look out for the proportionate blend of these material in order to construct your thematic tiles. There are many other vital things such as slabs, pebbles, colorful stones that complete the designing pattern of your room or the entire estate. People love to put theme that reminds them of the natural beauty of the earth. 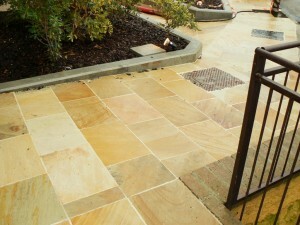 They want to bring home green pastures, a small size slate stone that creates a wonderful ambiance around them. For this, they install multicolor stones made out of granite, marble, sandstone, limestone, quartz for their tiles and stones. People hesitate in purchasing these slabs and sandstone tiles because they think that it will put a big hole in their pocket and will disrupt their bank balance. But with the advancement in technology the money involved in the cutting and polishing of these stones have significantly reduced as there are gigantic machines that make these stones in no time and makes them available to every person who wants to give an earthy look to his house by implementing these miracle stone. There is hardly any difference between a full stone veneer and a thin stone veneer…. Houses are termed as resting place that gives you complete comfort and inexplicable calming effect…. Sign up to keep up-to-date on the latest products, news and events.